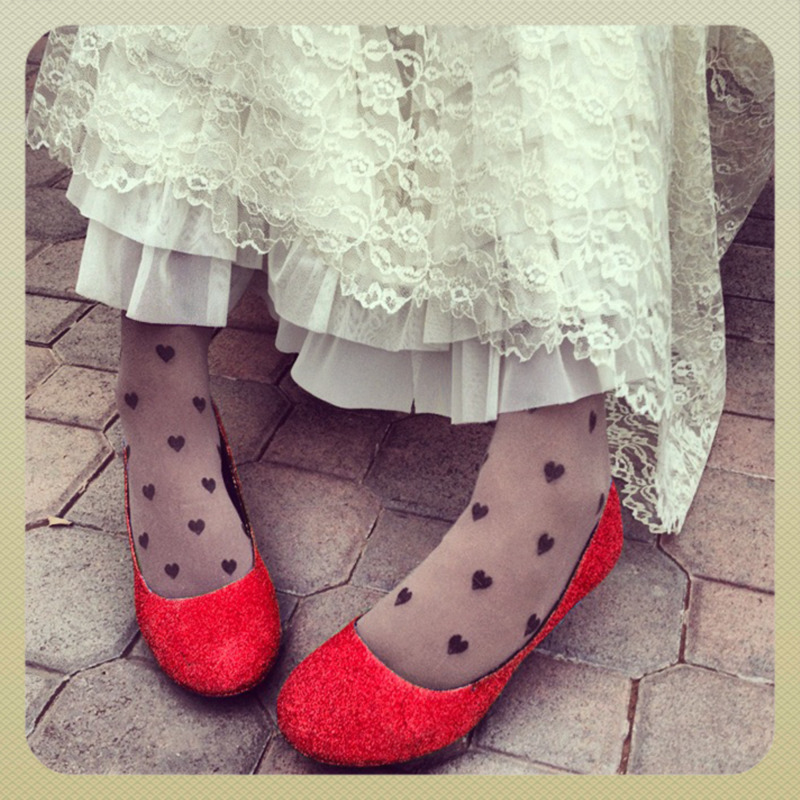 When I was looking for the perfect shoes for my wedding, I had difficulty finding something that I absolutely loved. I wanted something glittery, but I couldn't find the right pair in stores or online. Everything was sold-out or coming soon. Ready to give up, I decided to take matters into my own hands. How hard could it be to make glitter shoes? It couldn't be impossible because they existed—just not when I needed them to be. 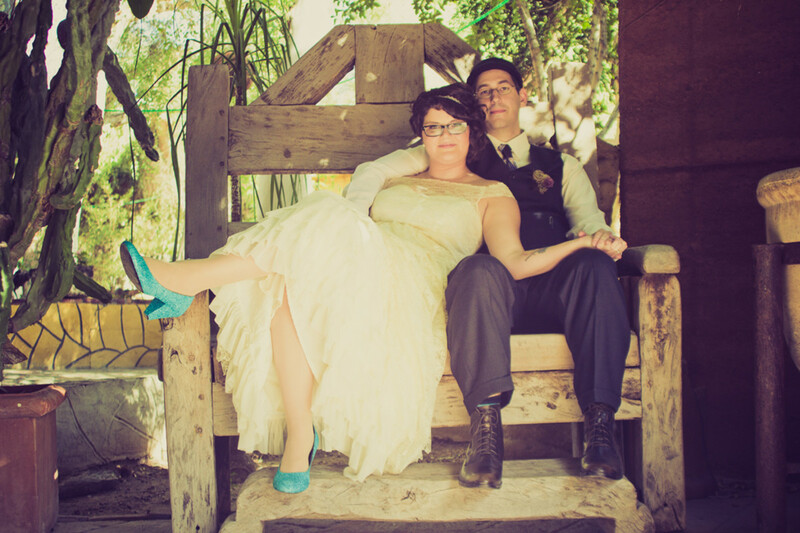 One of the first wedding decisions I made was that my something blue was going to be my shoes. So, some cute shoes + lots of sparkly glitter = adorable shoes that only look like a million bucks. The beauty of covering shoes in glitter is that they don't have to be the same color as the glitter. 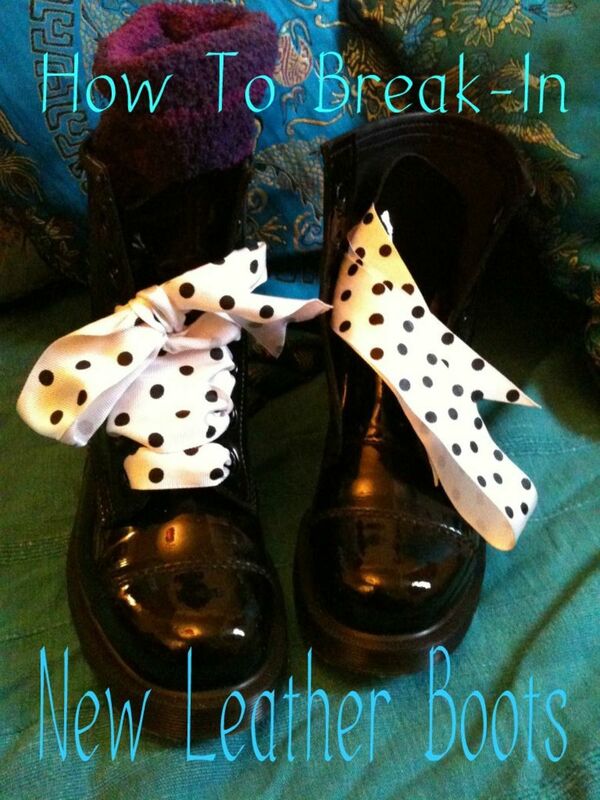 So you can do this to revamp an old pair of heels or buy a certain shoe for a special project you have in mind. 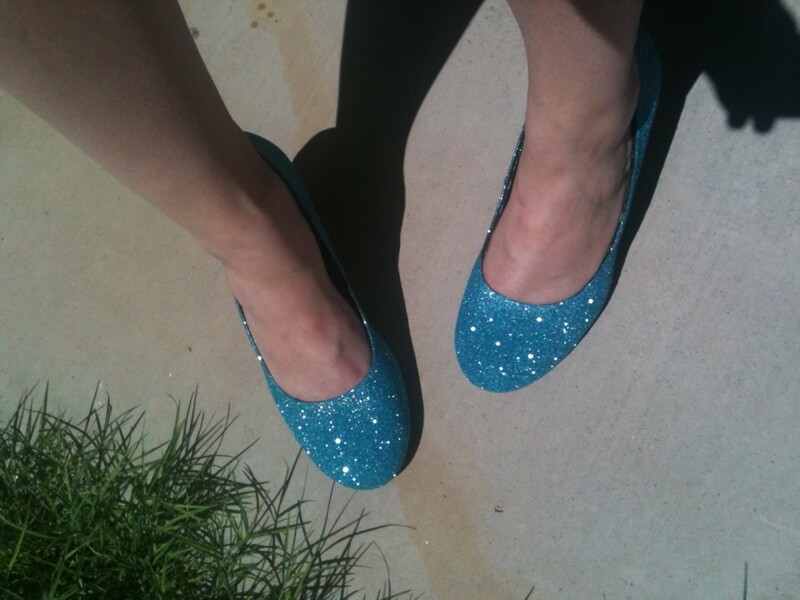 If you don't want the full Dorothy Gale effect, you can put a light one-layer dusting of glitter on a matching shoe. Shoes that have a strap and buckle are difficult to glitter. Plus, the glitter will last a significantly shorter amount of time if constantly threaded through and buckled or just touched in general. This craft is ideal for ballet flats or simple heels. 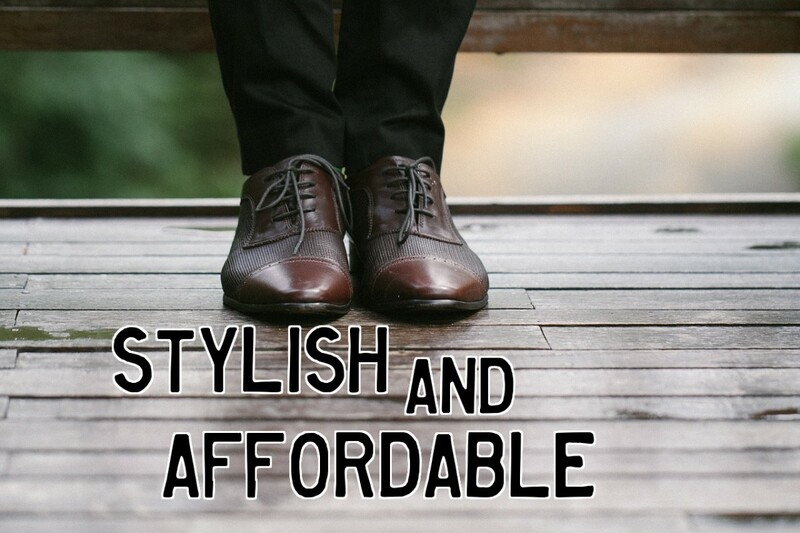 I used a plain black pair of heels by American Eagle from Payless Shoes. Glitter comes in many shapes and every color. Keep in mind that the large glitter specks will give your shoes more of a mosaic look. 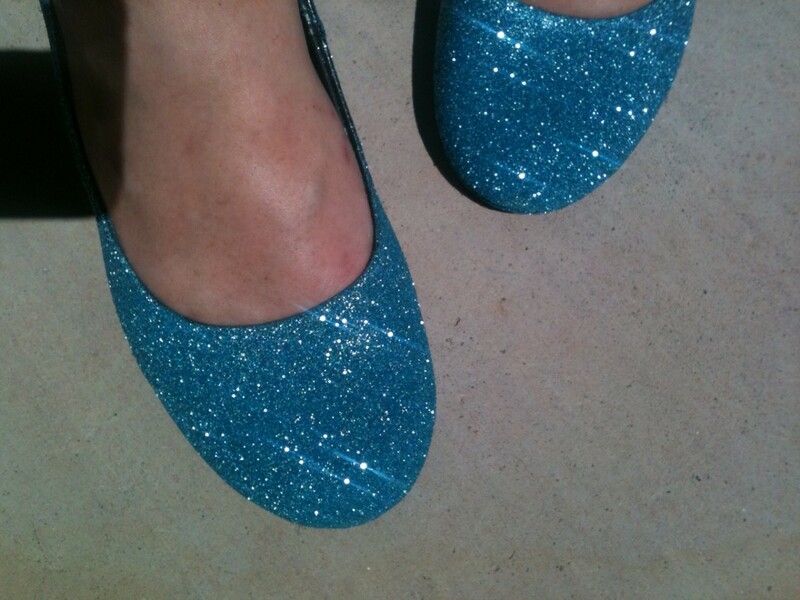 I like to use Martha Stewart's glitter and for my wedding shoes I mixed turquoise and blue glitters. Prepare to work in an area that will definitely get glittery! I like to work near my kitchen sink or on my back patio, both places that offer an easy clean up. Remember not to touch your eyes or face. What Type of Glue is Best? I love Martha Stewart's glitter glue! To be honest with you, I don't know how it's any different from Elmer's white school glue, but it comes in a cute bottle and has a brush built into the cap. It goes on milky white and dries clear. I first tried it because I needed glue anyway and it was conveniently located right next to the glitter at Michael's. Work slowly, one section at a time, painting your glue on into a nice thin layer. Remember to cap and close your glue so it doesn't get thick or dry up. I also use a clear spray glue, which I'll explain in the next step. Both of these are available at Michael's. I paid less than six dollars for each and you will have a good amount left over for other crafts. If you're an expert crafter, especially in the ways of glitter, then you may have a different technique. Use whatever works best for you! If this is your first time, the spoon and bowl method makes it easy not to waste or spill your glitter and also makes for easy clean up. When it comes to the bowl and spoon, the bigger the better, but don't go crazy. Pour your glitter into a mixing bowl. If you're mixing colors, be sure to mix them together thoroughly. 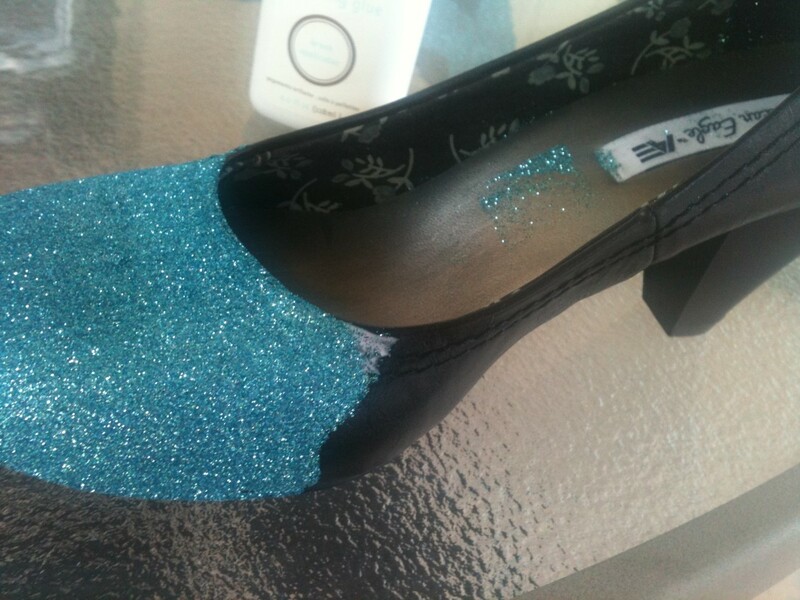 Holding your freshly glued shoe over the bowl, scoop up some glitter with your spoon and drop it onto your section. 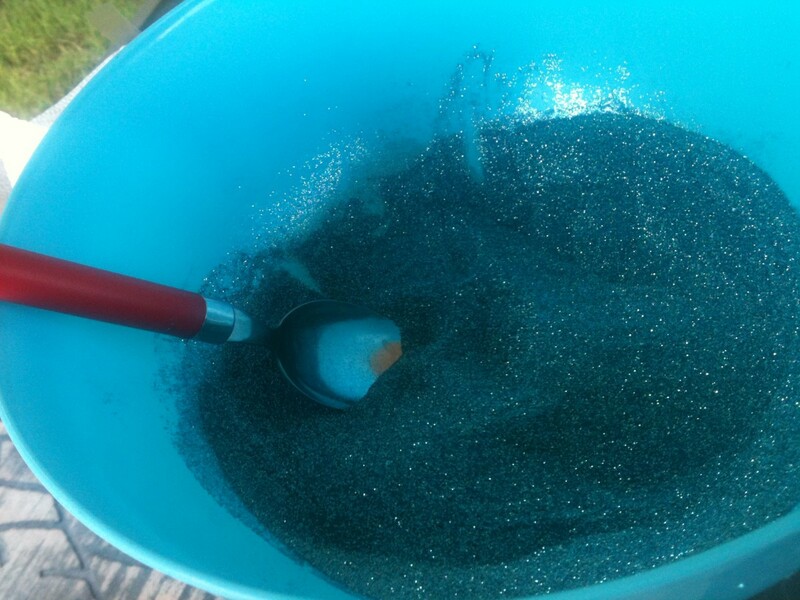 Excess glitter falls back into the bowl for later. Once covered, tilt or tip the shoe to dump the remaining excess back into the bowl. Repeat as needed. After each glitter application, hold the shoe upside down and use your spoon to gently tap the bottom sole to free any more excess glitter. Work in sections until you get bored or no longer have a section to hold onto. It's impossible to get a full coat on every inch in one sitting. Let dry overnight. For my second and third layers, I use a clear spray glue that comes in a can. It's called Aleene's Tacky Spray and is also available at Michael's. Make sure you get the crystal clear kind. It works great because it's super sticky and since it's tacky, you have time between spraying and spooning for it to get sticky without drying out. (I also used this spray to seal my homemade wedding envelopes and boy does it hold!) Spray on per the instructions on the can and repeat the previous steps. For a full three layers, you'll need at least three days for proper drying time in between glittering. Pay attention to seams or threads as they may need some extra attention to be covered up. Tape is great if you're doing designs and need to make straight lines or distinct sections. I use blue painters tape because it's sticky without being too sticky. I also like to use it during my second and third coats because I have less control of a spray than a brush and I don't want spray the inside of the shoe and have glitter inside my shoe forever. I like to tape off the inside lining to avoid this. In case you accidentally get some glitter inside that won't quite shake out, the tape step is great for getting it out. Just remember to peel out all the tape before wearing. Do You Have to Shellac Glitter Shoes? After your shoes are 100% glitter-tastic, it's time to seal them. For this craft, I used Aleene's Final Step Spray Acrylic Sealer in a Gloss Finish. I purchased it at Michael's. Inspect your shoes for any imperfections or missed spots and fix as necessary. Make sure your shoes have dried overnight before sealing. Make sure your shellac is clear and glossy. Using a matte finish will dull your glitter and ruin your hard work! Spray shoes in a ventilated area and according to any instructions or precautions listed on the can. Allow at least 24 hours to dry, or longer if specified on the can. 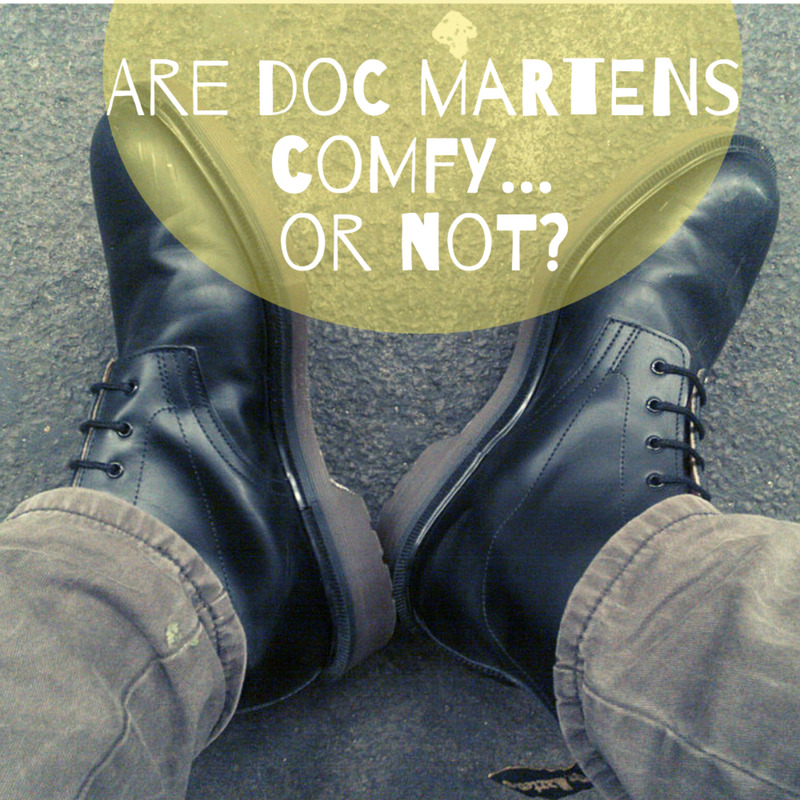 Once dry, wear them and be the talk of the town! This is an awesome craft that requires time and patience! Doing a cute heart in a contrasting color is a cute idea, but you may want to opt for a glitter heart shoe clip instead. You can find them online or make your own using your new glitter skills. This way the heart is both 3-D and temporary! This craft is perfect for making costume shoes or just an awesome pair of clubbing shoes that don't cost an arm and a leg. Wear them with a knockout dress or just jeans and a tee. My shoes looked beautiful when finished but cracked first time I wore them. 2 years ago from From the land of Chocolate Chips,and all other things sweet. This is such a cute idea, I can not wait to make my own pair. This is literally so cute I have to try this! 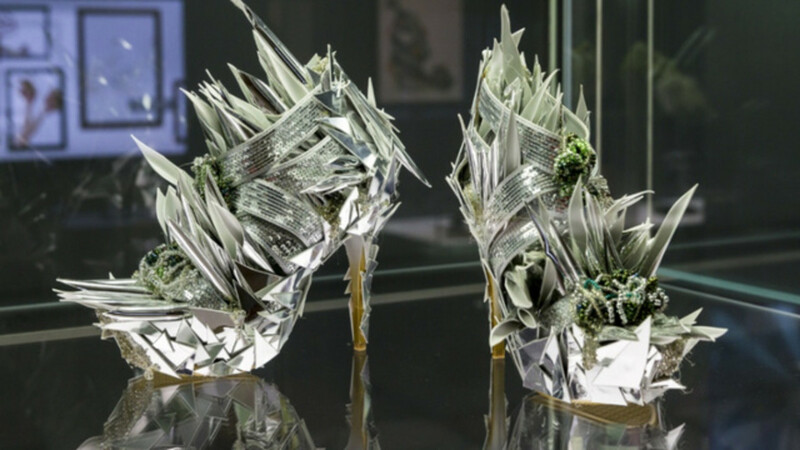 Some friends and I have to plan a day to make heels like this ha-ha thanks for the hub . I read this Hub a while ago, but just want to say congrats on HOTD. A Hub like this one is certainly a great evergreen Hub. congrats on another HOTD! What an awesome idea to glitter your shoes. I would do the same, if I wore shoes again. Voted up! Loved your article and loved some of the other ideas in the comments. You got a winner here! I have sprayed shoes with glitter for years. I buy the general color and then spray them. Have had people ask me where I find my shoes! 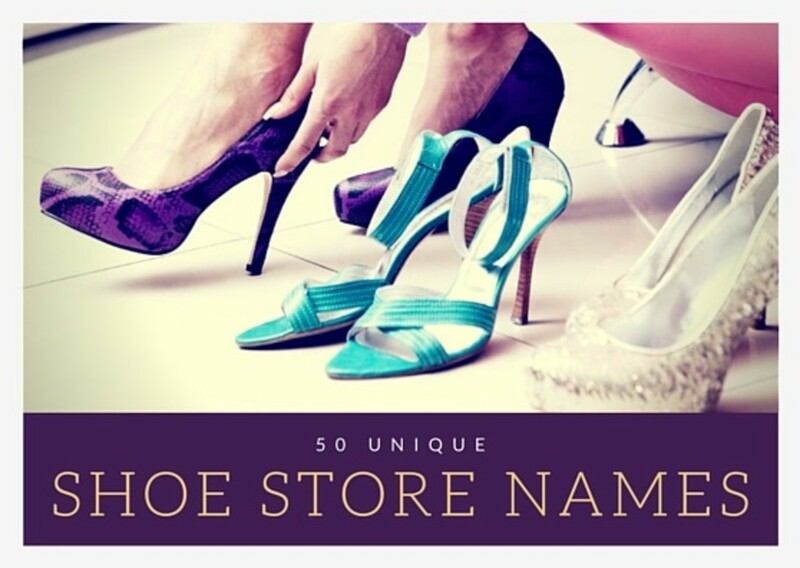 (inexpensive shoe stores usually!) OH, and I also spray my flip flops and sandals for the cool sparkly look too! Try some cheap nail art from the dollar store too! Love this HUB! Will now follow you! Not My Cup-O-Tea - Congrats On Hub Of the Day !! Wow, I love this idea! Very unique, also, I love the colors that you used. very nice, thaks for sharing. I love it! What material are the shoes? I have suede flats I want to do, do you think the result would be the same? Thanks for reading! Good luck with yours-- I love green. 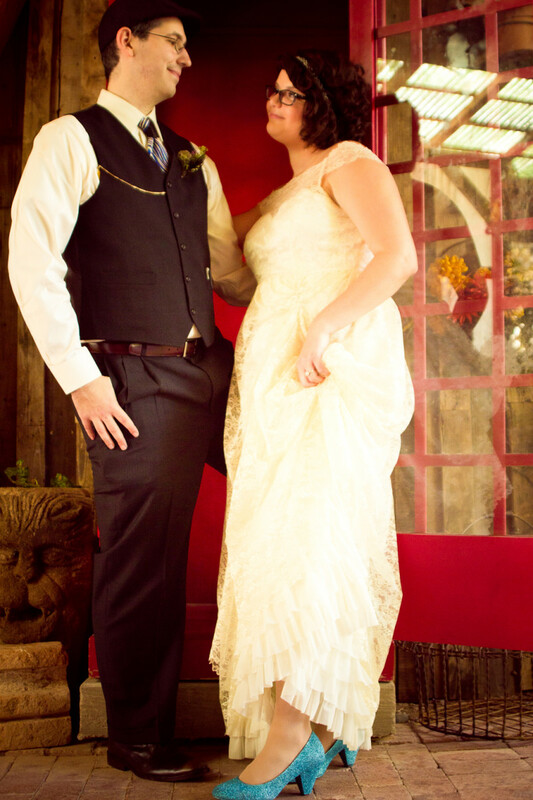 I didn't need to touch mine up, although I only wore my glitter heels for my ceremony and then switched to flats for dancing at my reception. I brought super glue and a little container of glitter for touch ups just in case, but didn't need it after all. These shoes look amazing!! I'm planning on making mine in lime green. Did your shoes need touched up as your wedding day went on, or did they hold up pretty well? Thanks looking forward to making my own! 6 years ago from Baton Rouge, LA. I'm not sure what you mean by dusty. I've only made these shoes using the products I mentioned, so if you have a dusty look from other products, I can't help much. Make sure you seal with a glossy shellac-- matte finishes will look dull and dusty. Make sure you work in layers. The top most layer is adhered with a spray glue underneath for a flawless finish. Did you follow each step and use the same products? Hope this helps. How do you get make the "dusty look" go away? Is there a simple step for this? Did the glitter crack or fall off at all after wearing ths shoes for a while? How awesome! What a way to perk up a pair of shoes. My 9 year old daughter will love this! Voted up! Love this idea!! Thank you! I love your glitter shoes! Martha Stewart taught me everything I know; from cooking to gardening to crafts and much more. I wrote a Hub about Martha Stewart. May I link this Hub into mine about her? I voted this Hub up, etc. and will share with followers, I tweeted, and Pinned, too. This would be a great idea for shoes to match a Prom dress or occasion dress. I love the blue glitter, though! Voted up and pinned! My granddaughter loves glitter shoes!! Now we could make them together!! Maybe:) Outstanding hub! I did it a little bit at a time over the course of 3 days. All together it took maybe 4 hours or less but it can't be done from start to finish or you don't have a section of shoe to hold as you work. Thanks or reading! Beautiful! How long did it take you to put the glitter on your shoes? Wow - the glitter shoes and heels are inspiring! This nifty idea of jazzing up old footwear seems simple, but it's soooooo worthy to try! Amy... I've used MP but I'm not sure about for this project. Your shoes came out AWESOME! And, ccongratulations on your marriage. I felt like I was looking in the mirror this morning when I realized the new hub I'd written yesterday was just like yours! We even used most of the same techniques, and I'm definitely coming back to read this hub again after I've had a cup of coffee or two (it's 5:30 a.m.). Cheers! Voted up & etc. My daughter has a dance in the next few weeks, and i'm having the hardest time finding her a shoe that works or POPS! She's 14 and wears an 11 or 12, it depends on the shoe (poor baby!). Because I'm way to familiar with these issues, I started thinking last night to try this very ideal. My dear you have just given me the nerve to try this out! Thank you for all the tips, I would have never thought to use a high gloss, but I will now. So in the am, I will be on my way to purchase an inexpensive shoe, than I'm on my way to Michaels. You know, maybe a month ago I finally went into Michaels for the very 1st time...OMG! girl, what didn't I stop to examine? LOL! Again, Thank you for the great tips, and maybe I'll be able to post her "Blingee's" for you! Thanks Heather! Can't wait to get glittering! Hi, Moni. Thanks for reading. I used Aleen's Spray Acrylic Sealer. This is the same brand as the tacky spray. If I remember correctly, this spray comes in different finishes (gloss, semi-gloss, matte, etc). Make sure you use a spray that is a gloss finish, otherwise your glitter will be dulled. Awesome! Those look amazing! I also wondered what kind of shellac you used. Spray or liquid? Thanks! Heather - what an inspiration! I was in your same pickle...so, I grabbed a pair of worn out brown peep toe wedges, painted them navy blue and I'm headed to Michael's tomorrow for some Martha Stewart azurite glitter! They look good now, but I can't wait to see them in glittery-shimmery navy! Thanks so much for this post. AH-MAZING! Love this! And now I want some glittery pink ballet flats! I did this and it totally worked! Thanks! Couldn't find shoes and now I will have the PERFECT pair for wedding! What kind of a shellac finishing spray did you use? I LOVE shiny things, so your glittery shoes were a star with me! Great layout of instructions! I will have to get some glitter! Thanks for a good hub and best wishes on your wedding! God Bless! Voted up, useful and beautiful!